Earlier this week I attended a meeting where the guest speaker was Arla Kester, CPA with BA Harris and Associates. Arla provided information on many of the new tax laws as well as some general tax issues. I thought I would disseminate some of the most relevant information over the next few months, but if you want to find it, you can go to www.harriscpa.com. The first thing that caught my eye was sales tax on vacation rentals, as well as tourism and convention taxes. 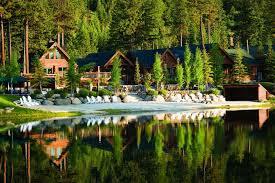 According to Idaho statutes, a vacation rental is really no different from a hotel. Any rental for which the rental period is less than 30 days is subject to sales tax (6%), tourism and convention tax (2%), and possibly local taxes. It is the responsibility of the owner to collect and remit these taxes. If your second home or vacation rental is professionally managed, it is recommended that you check with them to ensure they are complying with these rules.